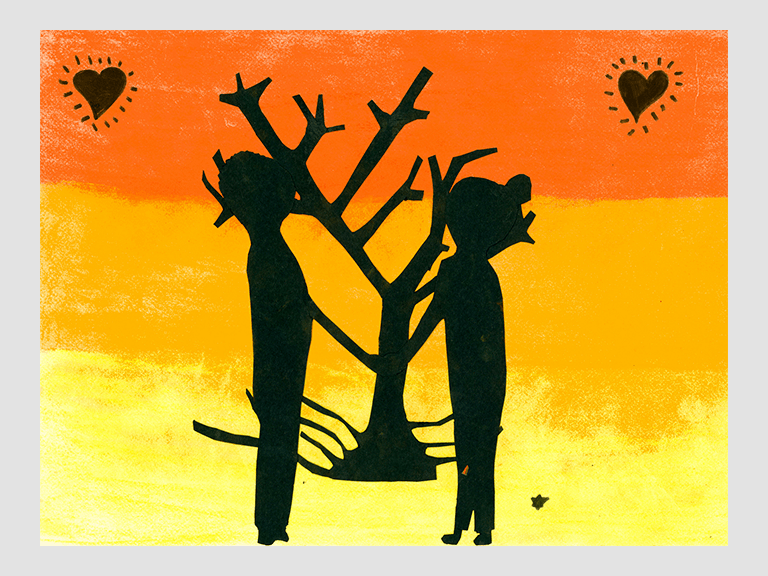 Click the drop-down below the image to read more about Lauren's entry. The story behind my entry. When I accepted the fun challenge of this competition, I didn’t have any ideas in particular to help kick-start my imagination. So, I decided to first look closely at the Bible quote itself and the imagery it made me think of. 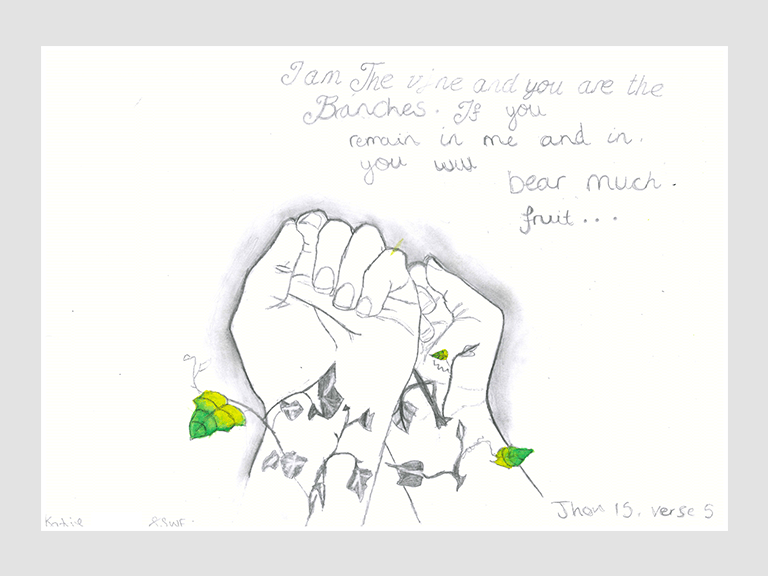 I took the first lines; “I am the vine; you are the branches” and thought of a tree, interwoven with grape vines. This for me symbolised the relationship we have with God. I later added the wings, to further my point as they are associated with such themes and give the drawing another layer of depth. 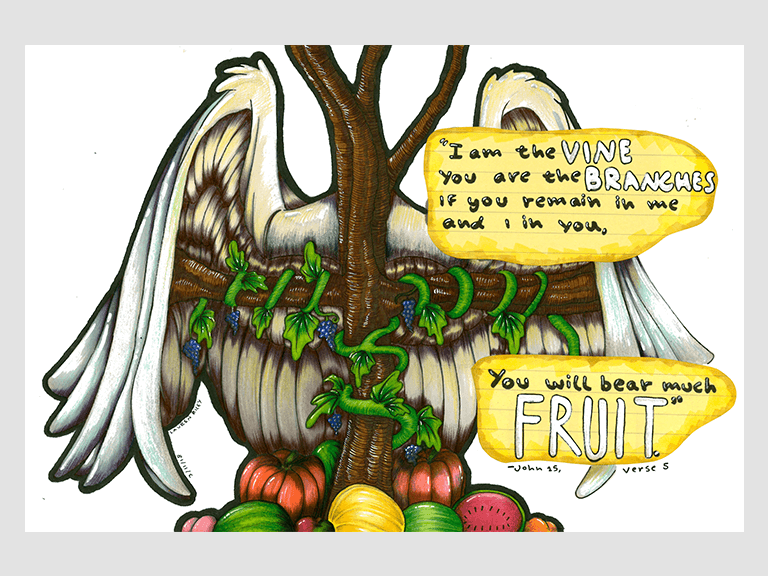 I have used warm colours for the fruit, mentioned in “If you remain in me and I in you, you will bear much fruit.” To highlight all the good that comes from being close to God. Click the drop-down below the image to read more about Katie's entry.